When it comes to factory farming there is a lot of misinformation out there designed to muddy the waters. Our goal is to help you understand the factory farming facts so you can form your own opinions on where to spend your money. What is the Definition of Factory Farming? A “factory farm” is a farm that raises animals for food or for animal products without focusing on the health or living conditions of the animals. The factory farming process focuses instead on raising as much livestock as possible within the space available in order to produce as much product as possible – hence the term factory farming. Most commonly factory farming focuses on the production of meat, eggs and milk for human consumption. How Did Factory Farming Come About? Before there were factory farms, animals were raised on ranches and farms in the open air. The animals would be taken care of used for what they could produce until they could no longer produce those things. For example, chickens were raised in the open air and housed in coops. When the hens stopped laying eggs, they would be slaughtered and eaten. Meats like veal were more likely to be produced if the animal injured itself than by simply being slaughter at 4-5 months of age. Factory farming had its beginning in the 1920’s after it was discovered that vitamins – particularly vitamins A and D could be added to animal feed. The addition of these vitamins to feed meant that animals no longer required exposure to sunlight or exercise outdoors in order to grow. Unfortunately for the animals this meant that many of them became subject to indoor living year round. As factory farming became increasingly popular, more and more animals were being kept indoors. Farmers began trying to maximize their profit by crowding increasing numbers of animals in to confined areas. Unfortunately this type of housing leads to the rapid spread of disease among animals. As one animal contracts a disease – for example swine flu – other animals that are within close proximity will also contract that disease and so on and so forth until the entire population is exposed. In attempts to reduce this type of spreading of disease the use of antibiotics in factory farming became popular. Antibiotics to combat disease in factory farmed animals were developed in the 1940’s. By using antibiotics to combat the disease spread by overcrowding, farmers could still increase their productivity without having to worry about producing “unhealthy” animals. When first introduced, the concept of factory farming was a popular one for farmers for a number of reasons. The main benefit was the increase in productivity that farmers experienced from being able to crowd more animals in to housing units. This not only meant more product to sell, but it also meant lower production costs since they no longer had to purchase large runs of land on which to let the animals roam. As factory farming took off, farmers also found that they could implement mechanization and assembly line techniques that would allow faster processing of their animals as well. In addition to the faster spread of illness as has already been mentioned, factory farming carries with it additional perils. One of the most significant is the general well-being of the animals concerned. The animals in question were not built to thrive spending their lives indoors in extremely cramped and crowded situations. When such incredible numbers of animals are forced in to cramped surroundings they are subjected to suffering. Being unable to roam, being deprived of sunlight and fresh grass, these animals are being deprived of their basic needs. In cramped warehouses or factory farms, these animals are nose to tail which not only creates pain from lack of exercise and being forced to stand, but it also contributes to a breakdown of the natural hierarchy and social nature of the animals themselves. As any human being who has been subjected to lengthy courses of antibiotics will tell you, there are often some very unpleasant side effects that accompany these drugs. Since these overcrowded factory farming conditions require animals to be injected with antibiotics in order to prevent disease spread, these animals are frequently exposed to these unpleasant side effects. As farmers begin to fall prey to factory farming in a desperate attempt to make their bottom line and stay in business, they often find themselves turning to hormone supplements. As these farmers give their animals hormone supplements they experience a higher product yield from unusually large animals. While this increased yield results in a larger paycheck for the farmer, unfortunately it also results in suffering for the animals. Again, as any woman who has taken birth control pills can tell you, hormones can be crazy things. The animals in factory farms have no say as to whether or not they ingest these products and as a result they often suffer the side effects from hormone ingestion. For many (but not all) animals in factory farms, confinement does not only mean being crammed in to a crowded warehouse, for some it means being confined in small cages. These small cages often times prevent the animals from moving at all, giving them no space to lay down, no way to communicate with each other and a natural fear from being in an unfamiliar situation. Add to this unusual confinement the amount of ammonia in the air from the elimination habits of all of these animals, and factory farm confinement is simply a torturous place to be for anyone. As if confinement and ammonia weren’t enough, these animals are also deprived of natural sunlight. In some instances of factory farming, animals are subjected to mutilation. Such actions can involve ear cutting, tail docking, branding and castration. While some of these practices are performed under sterilized circumstances by registered veterinarians, in many factory farms they are conducted on the animal within cramped confinement and without appropriate medical care. While these actions may make a factory farmers life easier, it simply adds to the suffering of the animals in question. Factory farming is an issue that many people feel passionate about and as such it is easy to become lost in the propaganda. It is important to be able to decipher fact from fiction in order to make an educated decision in regards to factory farming. Let’s take a look at some official statistics. According to Horrigan, Leo, Lawrence, Robert S., Walker, Polly, “How Sustainable Agriculture Can Address the Environmental and Human Health Harms of Industrial Agriculture,” Johns Hopkins University’s Center for a Livable Future, July 9, 1999 “Each full-grown chicken in a factory farm has as little as six-tenths of a square foot of space. Because of the crowding, they often become aggressive and sometimes eat each other. This has led to the painful practice of debeaking the birds.” Along these lines, hogs can also become aggressive when kept in tight spaces and turn to biting each other’s tails. This leads to tail docking practices. According to Grace Links, the concrete floors or slatted floors that are part of the structure of many factory farming units, result in skeletal deformities in animals. These animals do not naturally live on such hard surfaces; their skeletons were designed for life in the dirt and grasslands. According to the Humane Society, often animals in factory farms are forcibly overfed in order to produce particular products such as foie gras. Many times animals in factory farming are prevented to perform natural behaviors such as nesting as a result of overcrowding conditions. Research finds that breeding animals used by factory farms have considerably shorter life spans as a result of the constant cycles of pregnancy and giving birth. Selective breeding done by factory farms to produce oversized animals to produce more product, results in “mutant” like animals that are unhealthy and unable to thrive. Grace Links also estimates that some 80% of pigs slaughtered in the United States have pneumonia at their time of slaughter as the result of exposure to gasses produced by animal excretion in the factory farm. Erik Marcus states that the genetic manipulation that many broiler chickens undergo is so severe that some 90% of them have difficulty walking because of deformities. According to the USDA animals from the US meat industry are responsible for 61 million tons of waste, that’s five tons of waste for every US citizen. The Environmental Protection Agency claims that chicken, hog and cattle waste has polluted 35,000 miles of rivers throughout 22 states in the US and contaminated groundwater in 17 states. A microscopic organism named Pfiesteria that feeds of the nitrogen found in animal waste is lethal to fish and humans. In one example according to Susan Zakin, author of a 1999 article on pollution, states that in 1991 1,000,000,000,000 fish died in the Neuse River, North Carolina from Pfiesteria exposure alone. As factory farms crowd more animals in to their warehouses, more feed is required to feed these animals. The demand for more feed results in increased water use, deforestation of land, use of pesticides and herbicides on land for crop growth, reduced soil fertility and desertification. All of these factors destroy land that could otherwise sustain the “average” farm community. The Centers for Disease Control Mortality Weekly Report claims that the pollution caused by animal waste results in depression, death, miscarriage, nausea, skin infections and respiratory infections for those who live within close proximity to factory farms. According to the State of Utah Governor’s Office of Planning and Budget in 1995, between 1969 and 1992, the number of farmers producing 1000 hogs or more annually increased by 320%. This was accompanied by a decline in the number of producers selling 1,000 hogs annually by 73%. According to Earth Times, meat production has increased around the world from 44 million tons in 1950 to 211 million tons in 1997. Susan Zakin also points out that some 90% of the poultry pollution in the United States results from just ten companies. According to the National Institute of Allergy and Infectious Diseases, the overuse of antibiotics in animals has resulted in the development of even more strains of drug resistant bacteria. In 1999, the Institute of Medicine at the National Academy of Sciences noted that the approximate cost of treating these anti-biotic resistant infections in the United States alone is $30 billion! According to the American Medical News, some fifty million pounds of antibiotics are produced every year within the United States. Of these fifty million pounds, 16 million pounds are used on livestock in order to increase their growth rate. According to a 1994 edition of Newsweek, antibiotics that are used in farm animals leave behind strains of drug resistant microbes in the products produced by these animals. As the consumer ingests these microbes through milk or meat, they introduce these resistant bacteria to the body. Broiler Chickens are otherwise known as meat chickens. They are raised for their meat alone and are only kept until they reached the desired weight. Because of the genetic alterations, vitamins, hormones and antibiotics they are given, their bones often cannot keep up with the rate of growth of the rest of the body, leaving the chicken unable to support its own weight. These chickens are housed in such overcrowded facilities that their beaks and toes are cut off to prevent them from injuring each other and they are kept in continuous darkness to avoid conflicts between the chickens. Layer Hens are raised for their eggs. Hormones cause the hens to lay earlier than they naturally would and the chickens are housed in a way that focuses only on the egg. The cages they live in have slanted floors which can cause painful foot problems. The cages themselves are about 14 inches square and house 5-8 chicks. Their beaks are seared off to prevent fighting. Chickens depend on sunlight to guide them in the laying process. This is one reason why chickens lay fewer eggs during the winter. To combat this, factory farms keep the hens in perpetual light. When the hens do stop laying eggs, they are starved until they go into the molt process, which will lead to another laying session. If the hens stop laying eggs altogether, they are slaughtered. Chickens that are born male are suffocated in garbage bags. Pigs are taken care of through an automated process and are kept in the dark until they are led out for slaughter. Because there are so many in one area together, they constantly breathe in the bacteria from their own waste and develop diseases from it. Veal is the tenderest of all cattle meat because it is taken from young cattle whose muscles have not become fully developed. To make sure that the veal is as tender as possible, the animal is housed in a two foot crate so that it cannot move. The lack of movement prevents the muscles from developing. Iron is withheld from their diet so that they retain the white color that veal consumers are so fond of. The animal lives in this manner for 4-5 months, until it is slaughtered. Dairy Cows produce meat and baby cows. Since the cow can produce milk for up to 10 months after she gives birth, she is kept pregnant continuously. These animals are fed through automated systems. Their waster is also removed by automated systems, as is their milk. The cows are allowed outside twice a day to be milked. Otherwise, they remain in their small pens. Beef cattle are cows raised specifically to become beef. One of the most thoughtless automated processes in the factory farms is the way that beef cattle are knocked unconscious by an automated device before they are killed. To kill a beef cattle, the animal is hung upside before its throat is cut so that the blood can be drained immediately. Since the automated process for knocking cattle out is not always effective, they are sometimes awake when they are hung upside down and killed. Many people find themselves less familiar with how to remedy factory farming methods, making it difficult to make an argument against it. Below you will find some practical remedies to factory farming. One of the most significant things that can be done to discourage factory farming is to raise public awareness. It is up to local residents of communities as well as local governmental associations to determine whether they want factory farms in their jurisdiction. The general public is rarely aware that they are actually entitled to both review and comment on pollution reduction plans and to enforce the terms of those plans when a factory farm is not in adherence to those terms. One significant problem that exists with factory farming is that there are very few regulation or accountability measures in place. It is important that new systems be put in place to ensure that these types of farms not only obtain permits to run their factory farms, but that they also monitor the quality of local water that is currently being affected by runoff. In cases where run off does occur and pollute the land around factory farms, it is crucial that farmers be held accountable for the cost of any clean up and be forced to put proper waste disposal plans in to effect. 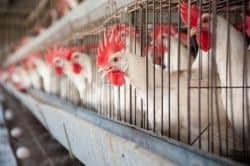 Some advocates for an overhaul of factory farming methods believe that strengthening of factory farm technology would greatly reduce the need for administration of antibiotics to factory farm stock. Such advances in technology are believed to be able to significantly reduce the pathogens present in factory farms currently. The amount of pollution, both to local water supplies and to the products that result from factory farming, should be enough to lead to state and federal support of alternative farming methods. Primarily, farms should be encouraged to focus on farming methods that do not rely upon such a high concentration of livestock in such a limited space. A focus should also be put upon livestock farming methods that allow animals more freedom to roam rather than being contained in such unhealthy environments. Additionally, farms should be focusing on methods of containing animal waste such as keeping animal waste drier which greatly reduces problems caused by runoff and spillage. Many smaller factory farms do not fall within the regulations established for larger industrial facilities. As a result, these small feedlots are exempt from voluntary programs designed to improve management practices. Additionally, these smaller farms find themselves unable to take advantage of technical assistance that is made available to larger farms, this type of access would help to reduce some of the common problems that factory farming causes and experiences. One of the most significant factors in decreasing the practice of factory farming is the opinion of the consumer. If more consumers stand up and express their disapproval of farms that take on factory farming practices, then these farms simply will not be able to sustain themselves. The easiest way for consumers to make this type of impact is to only purchase meat, milk and eggs that are certified as organic, free range or antibiotic free. While these products may be slightly more expensive, they are products that support healthy farming practices and are much healthier products over all. Many people stand up against factory farming practices because of the cruelty that the animals in these situations undergo. From tail docking to the incredibly cramped conditions they are kept in, there is absolutely no way that these animals are able to remain healthy physically and psychologically in factory farming conditions. For other people, the reason they stand up against factory farming is the amount of pollution that it promotes locally. As runoff from animal waste infiltrated local earth and water, the results can be devastating to local animal populations as well as local human populations. Not only does the runoff from factory farms affect the health of the environment, animals and people, but the hormone and antibiotic treatments given to factory farm animals have a number of health effects as well. In an effort to preserve your own health you need to make the conscious decision not to expose yourself to the hormones and antibiotics that factory farming animals are subjected to. Farming methods that do not employ factory farming techniques are often small farming establishments and by supporting them, you are supporting small local businesses. Refusing to patronize larger factory farms is the perfect way to support local produce and encourage healthy sustainable farming methods. There are many reasons why people choose to stand up against factory farming, but currently not enough people are doing so. If everyone was aware of the basic facts that underlie the factory farming industry and took a stand, there is simply no way that these types of operations could remain in business. Jeff grew up in the middle of farm country in Ohio. While he lives in a city now, he tries to maintain parts of his previous life including obtaining produce from local, organic farms, and having respect for his surrounding environment. Seriously, this stuff will make you cry. Eat pig? Oh boy. I’d feel bad even eating a steak. It actually might help to reckon the numbers I’m not just cows but all the animals killed every year for beef consumption. Modern-day man meat eating is worse than 1984 or The Jungle. No thanks I think I’ll stick with the salad. It’s horrifying to think that farmers care so little for the animals that make their way of life possible. How someone could ever treat animals this way is sickening. People like this should be absolutely ashamed of themselves. Unfortunately, farmers aren’t going to make changes until American puts its foot down and refuses to purchase meat that was raised in such poor conditions. The sad thing is we probably never will. The majority of people refuse to think about how the meat they purchase makes it to the market. When I think of what farmers are doing to animals it’s hard to be a meat-eater. The fact that animals are suffering is heartbreaking. Have I given up meat? No. Sadly, I’m one of those that just tries not to think about how the meat made it to the market. I just imagine big cuts of beef that get cut down into smaller cuts. I know that’s terrible, but what can you do? I’m not willing to become a vegetarian because I believe it to be unhealthy. I just can’t give up meat and it can be much more expensive to pay for humanely raised animals. And this is why factory farming will always be hard to eliminate. In this day and age, with many people going “green” to help preserve the environment, it is clear to me that factory farming is one thing that people still overlook. Just because we only see the packaged meat does not mean it is not happening, though. Customers in the grocery store are so quick to want to bring their own shopping bags and buy bulk items or those with less packaging, but fail to see that buying factory farmed chicken is contributing a greater amount not only to animal cruelty but to polluting waterways and consuming excess resources. I consider myself somewhat in touch with the subject and even I was not fully aware about the rampant antibiotics that factory farmers feed to animals, either, which makes it even more of a waste. Not to mention that all of this is a health hazard to you, through polluted water or sick animals or hormone treatments. While factory farms may seem cheaper in the here and now, they are actually very costly. Save animal lives, improve your health, and be a better friend of the environment by saying No to factory farming and supporting local farmers instead. My heart aches to think of all the poor animals that are raised in such horrible conditions. You have to wonder what kind of person does this to animals? It’s sick, inhumane, and just awful that farmers care more about their bottom dollar than the welfare of animals. I would never want to meet a person like this. As an animal lover, I would certainly have a few choice words for these animal abusers who call themselves farmers. I’m more than willing to pay more for meat that comes from animals that are treated well and cared for properly. To think that these animals spend their entire lives crammed in small cages and living in their own feces is beyond disturbing. I want to purchase from companies that raise their animals so that they are comfortable, well-fed with healthy food, and slaughtered humanely. I think the only reason people are okay with buying meat that comes from farm factories is because they don’t know what factory farming is or they choose not to think about it. Some may even feel that there’s nothing that can be done, so why try? We need to band together as a country and put an end to this horrible practice. Factory farming is so inhumane. This country was founded by farmers who knew that working hard every day to make sure the animals lived in proper conditions. People really used to care about what they put their animals through, and even if the animals were working animals, they still got treated well. Factory farming does not seem like farming at all to me, more like a big business that deals in animals. The description in the article of the way these animals are treated almost does not even make them seem like living animals at all. There is a saying, “How awful, that person is being treated like an animal!” When you think about it, though, animals should be treated pretty well, and most of the farmers that first started here knew that. Even now, there are farms that are still practicing the older-fashioned farm ways, with chickens running in the yard and pigs rolling in the mud. We all have those images of happy farm animals in our heads, and they did not get there from a visit to a factory farm. We need to make changes in what we buy if we want to preserve real farming. I think people forget that farm animals are animals. It’s easier for people to not think about what goes on at farms than to consider how the food got to the plate – so to speak. I know that if I think about even the humane raising of feed animals, I have a hard time eating meat. What can I say? I’m an animal lover and hate to think that a life was taken just so I could eat. Unfortunately, animals do have to die if you want to eat meat. There’s no way around that. However, that doesn’t mean an animal can’t live a good life until it’s time to be sent to slaughter. The Asians have been practicing methods of more humane farming for years. Kobe beef is not only some of the best beef in the world, it’s also some of the best cared for. These cattle receive massages and are well fed. This causes the animal to be less stressed, which results in more tender meat. In other words, farmers could actually stand to earn more money by using more humane methods because it leads to better quality meat. I don’t know about everyone else, but I would pay more for humanely raised meat. Because of factory farming, I wanted to become a vegetarian several years ago. It was hard for me because I was raised in the south and enjoy pork products. There I said it, I love bacon and ham. I also just love meat. I grew up on fried chicken and barbecue and instead of a sweet tooth, I have a salty tooth. I like sweets, but I’ve always gone in the direction of salty and slightly oily. Well, I’ve recently started to realize that I need to start eating better. I don’t eat badly, but I realize that overall mostly vegetarian diets seem to be healthier for people, animals, the environment, and for our pocket books. However, now that I’m learning more details of what is happening to the animals, I am starting to feel like we should just stop eating meat altogether. Whenever I think about this too long, I become conflicted. On one hand, there are so many benefits to not eating meat, but there are nutrients that come from meat and what about just eating fish? I really need to research this more so I stop turning this around in my head. It bothers me that so many companies use this practice. While I find it very disturbing, there are so many others that wonder why I care since I’m obviously a meat-eater. Even though I am a meat-eater, I still feel animals should be treated humanely. To keep animals in cages is no life and I think we all remember those horrible images from the video of KFC chicken raisers in which chickens were not only mistreated, but even kicked by the workers. 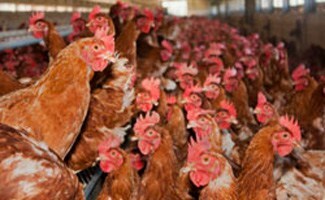 It was a sickening sight and made me wonder how many other fast food chains use chickens raised under such conditions. As consumers, we certainly have the power to change how animals are raised. We simply have to be willing to stop buying from companies that use these methods. The only problem is that many people are willing to overlook these issues in order to save a buck or enjoy their favorite food. Even I still continue to eat at KFC and know that I shouldn’t. One can only hope that the government will step in and require farms to abide by humane standards. Personally, I don’t think this will ever happen. The government cares about one thing and one thing only – cold, hard cash. When I read this article, I was outraged. I never knew that animals were crowded that badly in factory farms. Some people have also read that factory farms are also making the desirable meats larger by giving animals a growth hormone. Chickens are given a growth hormone to make their breasts larger and cows are given a milk-producing hormone that makes their udders bigger. That’s’ utterly ridiculous! This is a huge epidemic that needs to end. Regarding the animals’ living conditions, many veterinarians would be up in arms. Imagine how uncomfortable those animals are in factory farms; it’s heartbreaking. Consumers want meat and other animal products, but isn’t there a more humane way to get what we desire? Animals are supposed to be outside, but instead they’re in a building?! Just like humans and plants need sunlight, so do other animals. The factory farms are somewhat of a good idea, but we need to make them more humane. Increasing the size of the building would help a lot, but so would letting the animals roam a bit too and not giving them growth hormones. I will admit, factory farming or industrial agriculture are not things that I really think about on a regular basis. I have driven by the vast farmlands in California with beef cattle (and poo smell) as far as the eye can see and I have seen turkey farms that produce an obscene amount of turkeys for our American consumers to devour. Yet my consciousness rarely dwells on the conditions these animals are subjected to. I also rarely think of these things as I eat a steak or chicken breast and enjoy it thoroughly. However, reading this piece and also having read “The Jungle” I know that there are dark and shadowy forces behind the food production in our country and most people probably would not want to know where their food comes from or how it gets to their table. It is depressing, no doubt about it, but with competition the way it is and our economy in shambles, I really do not see any way around factory farming in the short term. It would just be too expensive for farmers to go any other way. I never really thought at all about factory farming until people started making a big deal out the chickens that were being used at Kentucky Fried Chicken. They use the ones with the beaks cut off and I even heard that those chickens don’t have eyes anymore because they have been kept in the dark so long. I thought that was super cruel of Kentucky Fried Chicken to endorse that in any way. Sadly, that is one of my favorite places to eat. When I got my own chickens I really had to stop and think about this kind of stuff. Things become really clear when you personalize them and are face to face with a potential issue. We named our chickens and had them for the eggs rather than as meat hens. All of our animals are a part of our family. I just could not see myself allowing those kind of conditions to exist. In fact, even though our chickens have a nice coop and a decent place to run around, I was always feeling bad just because they were fenced in. It was for their protection, but they didn’t know that. Living in a state where a lot of factory farms operate, I can totally relate to where this article is coming from. Even as a young child, I was struck by the unpleasant look and smell coming from factory farms as we drove by. And how sad it is as a child to know that the little barnyard animals you learn about in school are being treated this way in real life! The descriptions of the treatment these animals endure was a lot for me to stomach, even now. I had no idea of the level of antibiotics that was used in meat production, or how much waste is produced by factory farms. Once again, as I think back to my early memories of driving by, it all adds up in my mind. And things have only gotten worse now, I see. After being so affected by all this information, I certainly was glad to read the last section about what I could do to reverse the factory farm trend. I see a lot of farmers markets popping up, for instance, and it makes more and more sense to me to buy from them as much as possible. When you see how these “farmers” treat these animals, it is hard to believe that they ever had any kind of a moral thought in their heads. I understand that they want to make a living, but this is where greed comes into play. Animals are living beings. If you would not want to be treated the way they are, then why would you do it to them? This is just one of the many reasons I have considered becoming a vegetarian. I do love some kinds of meat, like beef, but I still would not abuse an animal just for greed. I also would not hunt just for fun. If I killed an animal I would have to make use of every part of that animal. I try to buy my meat from organic farms. I realize the animal still gets killed, but at least it gets to enjoy fancy things like sunshine and rain before it dies. I go to local farmers and buy the animal butchered. I can see how it gets treated and I can see what it eat before I ever buy it. I just do not understand how people can be so mean. I do understand that somewhere along the line Karma is going to step in though. Factory farming is horrible for so many reasons. Not only does it put human lives at risk by using antibiotics, but the conditions in which these poor animals are raised is inhumane. Some people are able to look away from these conditions, telling themselves that these animals are a food source and not pets, but I for one cannot just look away. It’s terrible to think about how these poor animals are treated. I much prefer the option of buying meat from companies that use humane farming methods. In recent years a number of fast food companies have been called out for their use of inhumane factory farms. The good news is that more and more companies are jumping on board to ensure that the meat they sell is humanely raised. Whether companies are doing this because they truly care or just want to attract more customers doesn’t matter. What matters is that they are doing it and animals will be raised in healthier environments. Consumers are voting with their wallets so the companies are paying attention to $$ more than words. However, it’s not just fast food companies that we have to worry about. It’s important to also purchase meat from the grocery store that is from companies that use humane farming methods. This usually means spending a lot more money, but it’s well worth it. Farmers markets also often have good local, soundly-raised meats.